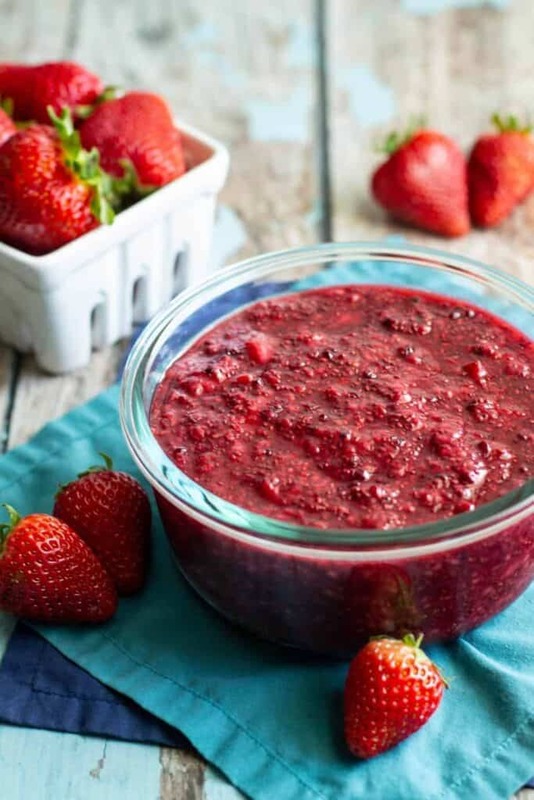 This Chia Seed Jam is made with a medley of berries–in this case, strawberries, raspberries, and blackberries. It tastes like fruit, and nothing but. Probably because it’s made of almost nothing but fruit! Another thing that I really like about this jam is that it is lightly, and naturally sweetened. You can use honey, agave nectar, or maple syrup: whatever suits your tastes. I used agave nectar, only because that’s what I had in my pantry. Truthfully, you may not even need to sweeten yours. 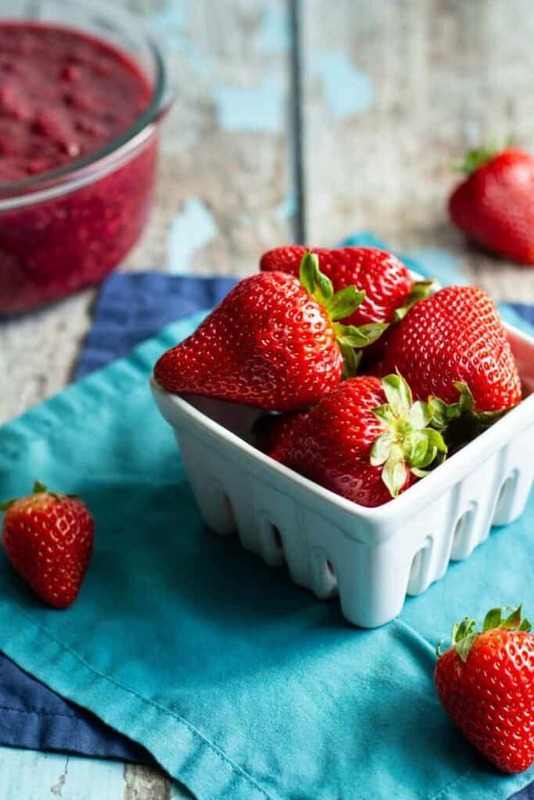 It mostly depends on your personal preferences and the ripeness of the berries that you use. I recommend tasting the jam once the berries have broken down and deciding whether to sweeten it at that point. 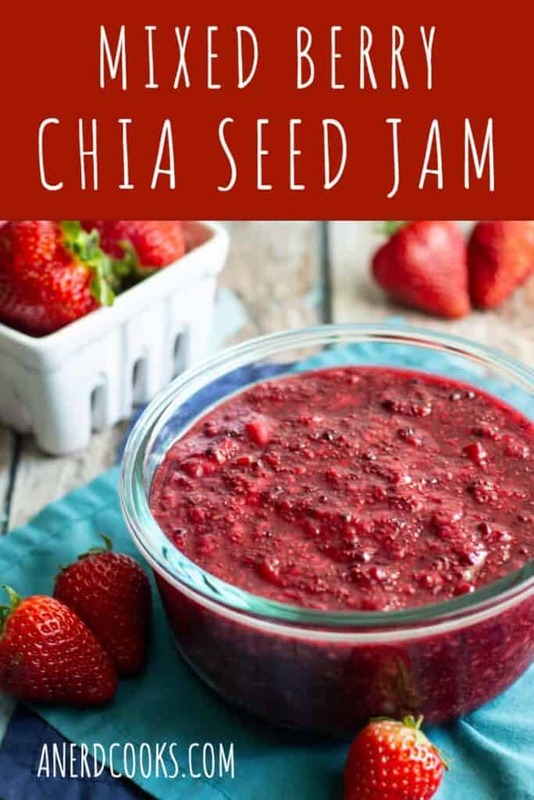 Unlike typical jams, which are thickened with the help of pectin, chia seeds do the heavy lifting here. Chia seed jam is a little looser than jam you’d buy from the store, but it’s still plenty spreadable. So far, I’ve spread it on biscuits (I’ll be sharing those with you later in the week) and stirred it into Greek yogurt. Use it wherever you’d typically use jelly or jam! 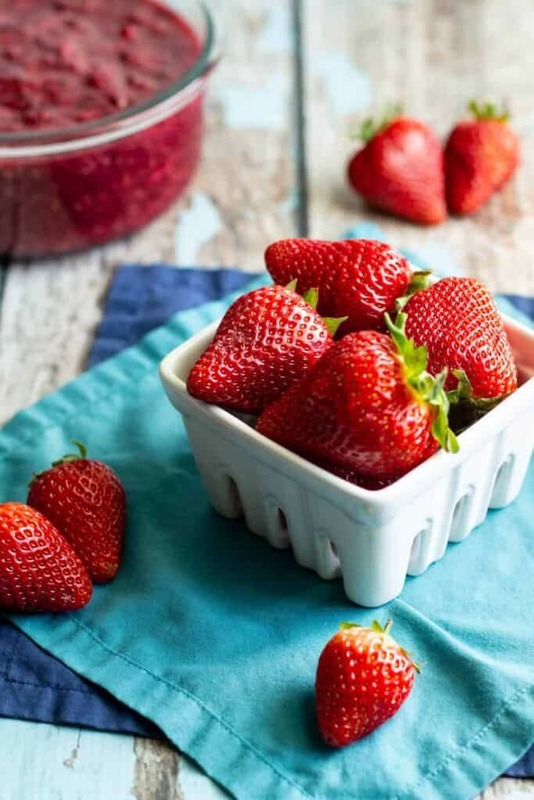 Add the berries and orange juice to a medium-sized saucepan over medium heat. Cook for 5-10 minutes, stirring and squishing the berries occasionally until they have broken down a bit. Add sweetener, to taste, if desired. Stir to combine. Remove the saucepan from the heat and stir in the chia seeds. The jam will thicken quickly as it cools. 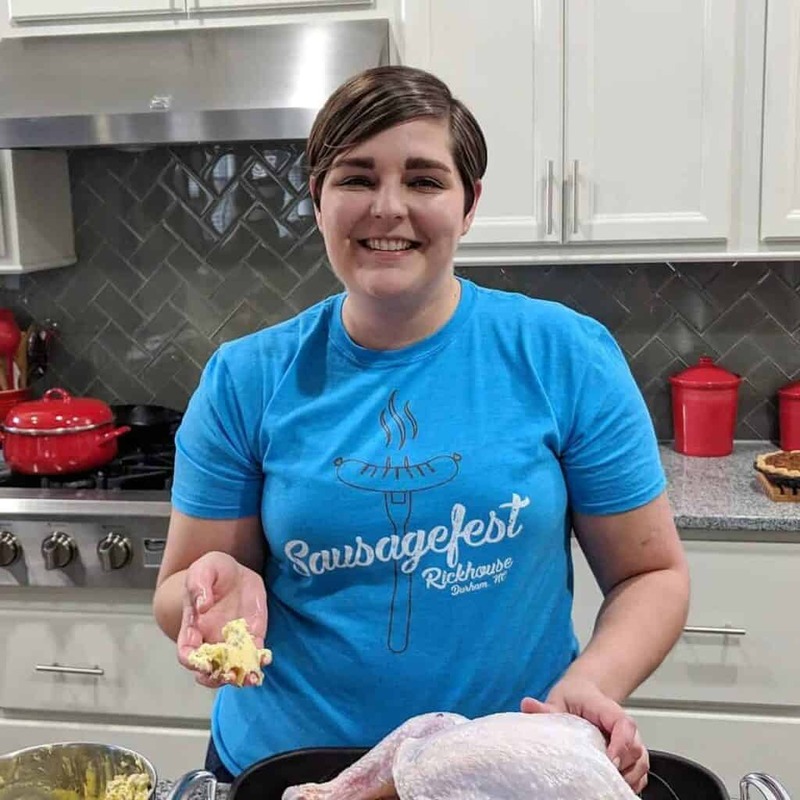 Thank you, Anne! This was my first batch of chia seed jam, but I’m hooked! 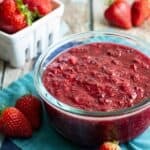 I’ve never made chia jam! Actually, oh gosh, I’ve never even made JAM. Excuse me while I slap myself and get to it. This clearly needs to be slathered all over my morning toast.